You are currently browsing the archives for the 2013 Promotional Calendars category. Our promotional calendars are even more affordable! 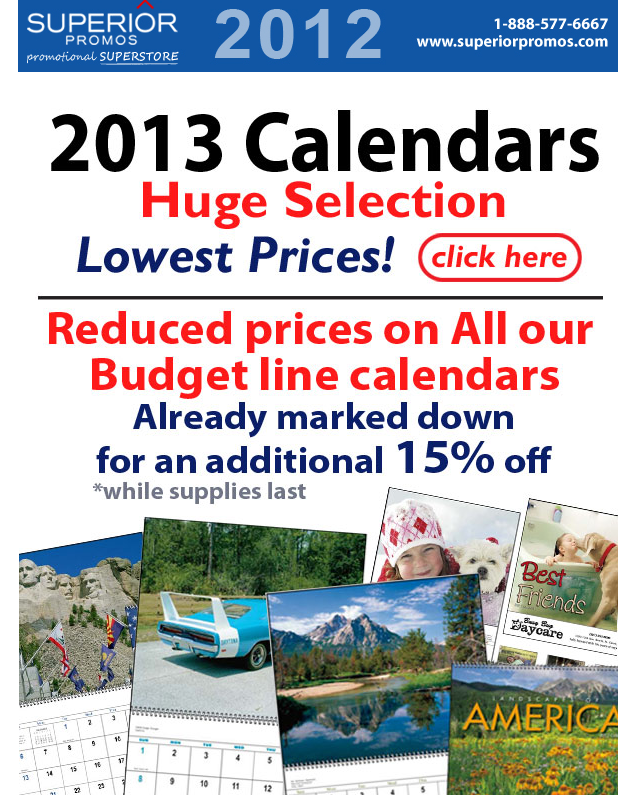 Save up to 15% on all budget promotional calendars while supplies last. View our promotional calendars selection.